NOBLESVILLE, Ind. 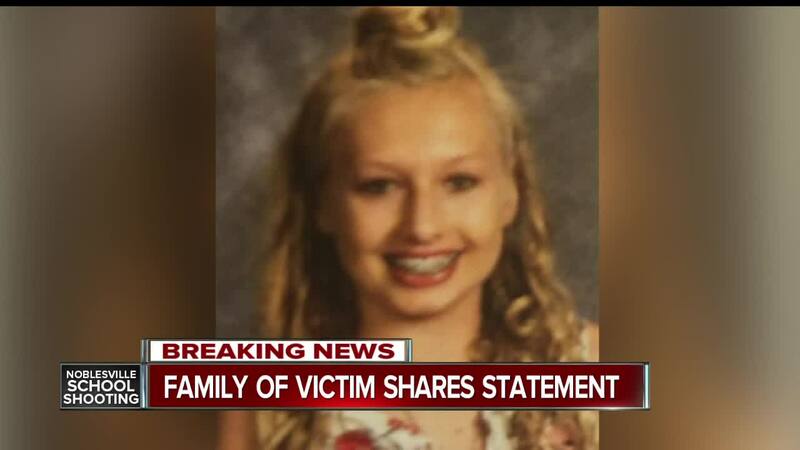 -- The family of Noblesville teen who was injured when another student opened fire in her classroom says the young girl's condition has been upgraded. 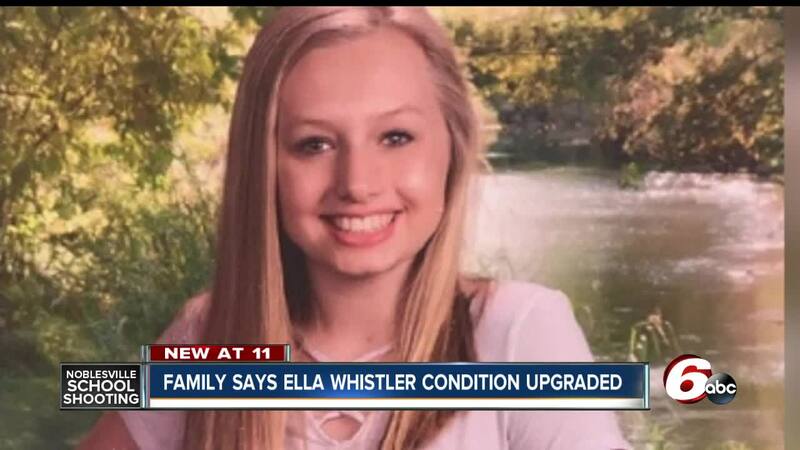 Ella Whistler, 13, was shot last Friday along with her science teacher, Jason Seaman. Both were rushed to the hospital in critical condition where Ella has remained. Her family released a statement Wednesday evening saying her condition had been "upgraded to stable." Seaman was released from the hospital Saturday after being treated for three gunshot wounds. Ella has remained at Riley Hospital for Children since the incident. Our daughter, Ella Whistler, was involved in a horrific shooting today at her school. We will spend the next days and weeks processing what happened and why. But first, we wanted to say she is doing well at Riley Hospital for Children. Her status is critical, yet we are pleased to report she is stable. We’d like to thank everyone across the country who prayed for our family today. We’ve felt those prayers and appreciate each of them. We’d also like to thank the first responders, Noblesville police, Indiana State Police and the medical staff and surgeons at Riley. Please do not contact our family for further comment at this time. We appreciate you respecting our privacy as we support Ella in her recovery. The shooting at Noblesville West Middle School was reported shortly after 9 a.m. Friday. Seaman is being hailed as a hero for tackling the shooter. He is hospitalized in good condition. The suspect has been arrested. He is not being identified because he is a juvenile. There is no word on a motive for the shooting at this time.